Home Website Drupal How to Choose a Reliable Drupal Hosting Service? How to Choose a Reliable Drupal Hosting Service? Drupal is the best of the best CMS solution among global enterprises, governments, higher education institutions, and NGOs. With over a million users keeping improving and extending the platform, Drupal comes in highly flexible and scalable, enabling you to manage and update web content such as texts, applications, and pictures independently from the website design. Along with the development of Drupal, Drupal web hosting has evolved from a simple weblog or community system to a powerful comprehensive solution with various features included, such as picture galleries, eCommerce setups, mailing lists, as well as high-performance programming interfaces for applications. 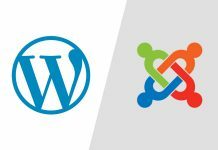 Why Should I Use Drupal As CMS? In a nutshell, Drupal is a higher-level alternative to Content Management Systems like WordPress and Joomla! due to its easy customization. 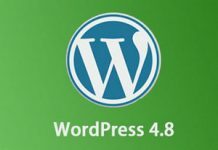 WordPress is extremely easy to use and requires minimal maintenance, therefore becoming the favorite CMS option for small and medium-sized projects. Drupal, in comparison, makes use of the modular systems to result in excellent flexibility. 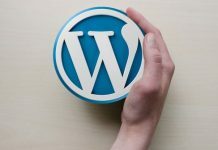 A bunch of built-in tools for content creation and publishing make Drupal particularly suitable for larger blog projects, journalistic websites or company websites. With robust security designs in mind, Drupal has been a proved secure CMS and application framework that defends you against whatever horrible internet attacks on the web. There is a dedicated security team made up of dozens of experts from around the world to keep constantly developing Drupal and regularly launching security updates. They also work with professional service providers and offer one of the largest developer communities in the world, ensuring the quickest validation and response to every security issue. Meanwhile, Drupal comes with a strong stack foundation thanks to the modern LAMP technology stack that the platform lives on. 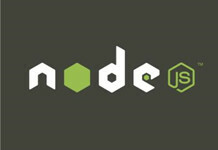 As the most popular archetypal model of web service stacks, LAMP is an acronym of the four original open-source components: the Linux operating system, the Apache HTTP Server, the MySQL RDBMS, and the PHP programming language. It is the stack foundation that gives Drupal the confidence to meet the needs of fast-moving, flexible, agile enterprises and brands for building next generation digital online projects. What To Consider When Choosing A Reliable Drupal Hosting Service? Your web hosting provider should offer a fully compatible server for running the Drupal software. In other words, make sure your Linux web hosting plan includes a copy of the Apache web server, PHP programing language and the MySQL database server. Also, don’t forget checking the minimum system requirements of the Drupal version you are going to run and what specific versions of these technologies your web hosting provider supports. In the case of Drupal 8, it works best on the Apache web server with PHP version of 5.5.9 or greater. The minimum requirements for PHP memory size is 64MB. At the same time, the required database server is MySQL 5.5.3/ MariaDB 5.5.20/ Percona Server 5.5.8 or higher with InnoDB as the primary storage engine. Though you can have Drupal installed manually if you’re knowledgebase of FTP and MySQL, using a 1-click install from a hosting provider could significantly save your time and efforts, particularly when you are just a newbie. Plesk and cPanel currently are the most popular control panel solutions, which support installing and updating Drupal application in simple clicks and managing your Drupal hosting environment in every aspect. As a database-driven CMS solution, Drupal requires a database on the backend to run and operate. Typically, the more database resources you can allocate, the faster queries you can build. When you receive redundant databases in the Drupal hosting package, you can create whatever online projects as expected, from personal blog platform to database-driven application or even e-Commerce website and keep them run smoothly. One big benefit of Drupal is you can manage multiple sites across your organizations, brands, geographies and campaigns on a single platform. As a result of that, you can create and deploy a site easily and quickly. This service is perfectly suited for those who must support various needs. 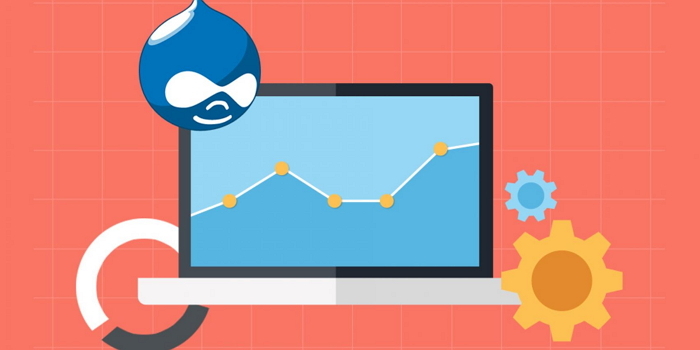 While the Drupal core has been optimized to maintain high performance, you cannot rest easy. If your web hosting provider fails to keep a reliable infrastructure in place, your Drupal site still could run sluggishly. In addition to dependable data center facilities and server equipment, they must provide a redundant network to improve the transmission stability. You should also put emphasis on if there is a server location close to your targeted markets; if not, the hosting company at least should offer you free CDN service as a complement. As is mentioned above, Drupal is supported by an active online community. When technical issues arise, you can seek online help from Forums and Community Documentation sections. However, you may find it less helpful especially in an emergency. Instead, it seems wiser to look for a web hosting provider with a Drupal development team in place. The support staffs are knowledgeable of Drupal platform therefore being able give efficient assistance when you have problems with the CMS installation or files, etc. Does Bisend Offer Drupal Hosting? Bisend currently have three Drupal hosting packages available, along with the smallest solution charging for only $2.95/mo after discounting. The hosting service supports hosting websites from one to unlimited and includes rich MySQL databases so you can build either one or multiple Drupal sites for your business. Additionally, you can install extensions at any time to customize Drupal to your needs. With the free Plesk Onyx license bundled into every hosting account, you can 1-click install the latest Drupal version or any other one that you prefer to. The control panel also introduces integration with Git so you can easily deploy your Drupal website content. And you can have a free Let’s Encrypt SSL certificate installed in seconds. Importantly, Bisend has two data centers respectively located in Chicago, United States and Hong Kong, China. If your major customers are from either of the two regions, you are sure to be able to deliver fast and reliable user experience. All servers are driven by the latest SSD technology to boost 20x faster speed than traditional HDD storage. We also closely work with multiple bandwidth backbones to make sure smooth connection. Need technical help? No problem. Bisend has a team of experienced experts who are also skillful in dealing with Drupal related issues. No matter what kind of problem you come across, you can chat directly with our support representatives or submit a ticket or send us an email. We promise to respond to each request as soon as possible and offer satisfied answers to your questions. Be interest in our Drupal hosting service now? Please visit this page and consult our sales support for more details. Next articleHow To Set Up Free SSL Certificate in Bisend? 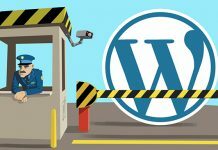 How to Stop Unauthorized Login Attempts to WordPress? How to Configure Email Account in Outlook Express? What is OV SSL and Why you Need it?